I have a dozen or more children’s books that I am still trying to get the reviews posted for. I will be doing several of these posts with 5 books in each. Here are the first five. They are not grouped this time around. 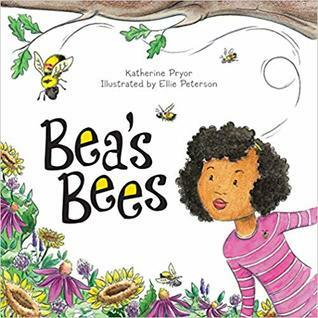 This is a well done book about a young girl named Bea and what happens when she finds a bee colony/hive in an old oak tree in the park. She watches them work and fly. She notices that the bees are lively and happy collecting pollen. She visits them often, until, one day the bees are gone. She decides that she needs to find out what happened to the bees. With the help of the librarian, she discovers that the flowers they used for food disappeared. She continues her research to find out what else they need for pollen and what other plants and flowers will help. She plants flowers, and hands out wildflower seeds until there are flowers all over town. Will the bees return? This is a wonderful book for children. So many bees and butterflies have been endangered due to the loss of their habitat, killing plants they use for food and ingesting various chemicals that have been sprayed. Children need to know what they can do to help the environment and this book is done in an inviting, friendly way. Readers/listeners will also learn about various plants and how bees need them to survive, as well as human survival. Without bees pollinating plants we wouldn’t have fruits and vegetables to eat. The illustrations were also well done with realistic scenes and likable characters. I recommend this book to families, schools and public library. The publisher, Schiffer Publishing Ltd., generously provided me with a copy of this book upon request. the rating, ideas and opinions shared are my own. 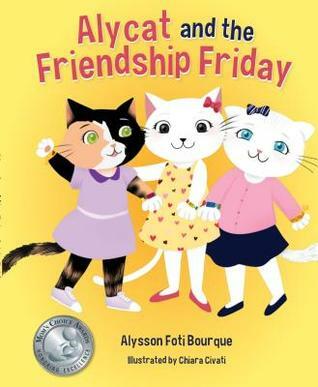 This is a cute story about Alycat and her friends. I did not realize this was a series, but apparently there are three books about this young cat. It is a cute story with a couple of positive messages in it. Alycat gets up and is excited about her day. The class is going on a fieldtrip to the local Health Clinic. When Alycat asks for a rather unhealthy breakfast, her mom offers her something better. Message #1 – eat healthy. Once at school, they are introduced to a new student and her friend Luna offers to sit with her on the bus. Alycat is feeling lonely and left out at this point, not sure what to do. She has feelings of jealousy and betrayal. She decides to include this new student and make friends with her. Message #2 – welcome others, be inclusive. An inspiring book about friendship and how to accept change in the everyday life as well as acceptance and tolerance, being kind and getting the best of any any life encounter. I really liked the illustrations, they were well done showing expression on the faces of the characters. I also liked that there was an activity at the end of the book that could be done with parent and child, or even a class of students. This would be a perfect read for kids just starting a new school year or when they are expecting a new student in their classroom. A great story as well for when those cliques of girls are having issues and those love/hate relationships that spring up regularly in the primary grades. I definitely recommend this one for primary or early junior classrooms. The publisher generously provided me with a copy of this book upon request. The rating, ideas and opinions shared are my own. 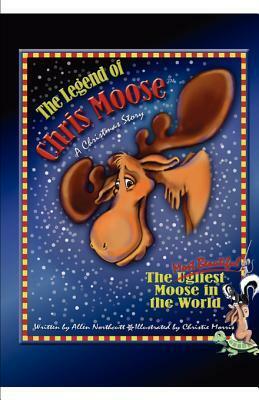 Chris Moose follows an “ugly duckling” storyline about a moose that isn’t so handsome, in fact he’s feeling quite down on himself as the other characters in the story actually call him “Ugly”. When I started this book, I almost put it down. Fortunately it redeemed itself somewhat in the end. I see part of the message being that the others liked Chris because of what he could do to help them, not because of who he was. My grandchildren did not seem to notice that. My grandson commented right away that the other animals were mean to Ugly, and he cheered when they finally changed his name and accepted him. The woodland creatures are not very nice to Ugly at all. It is Christmas time in the forest and all the animals are heading to Momma and Pappa Bear’s house for Christmas. When they arrive they find Momma Bear and Pappa Bear are upset because they overslept and nothing is ready for the Christmas celebration. Ugly the Moose helps all his friends get whatever they need to the Bear’s home and when it comes time for the final preparation, he steps up for a big surprise. There is a huge moral to this story, ugly names are hurtful and everyone wants to be included and to feel useful. Tie all this up in a Christmas ribbon and the message is delivered in a fun way. The story is told in a rhyming way, but the cadence is not always followed. The illustrations are beautiful. They are large, colourful and fun. Children will really enjoy them. I am not sure whether I would purchase a print copy of this book for my Christmas library or not, but I can see this book being useful in a classroom where there are issues of teasing, name calling, and bullying. The publisher, BooksGoSocial, provided me with a copy of this book upon request. The rating, ideas, and opinions shared are my own. I have only owned dogs, but my grandchildren have both a cat and a dog, as well as their father’s name being Darryl, so needless to say, they loved this book. Princess Puffybottom lives with her “subjects” and life is good, that is until they bring home a puppy! Darryl the puppy, offends Princess Puffybottom’s sensibilities. She finds him uncouth and disgusting. She wants him to be banished and tries all sorts of tricks but it doesn’t work. Darryl is there for good. When she finally resigns herself to the fact that they are going to both live in the house, another family member appears. There are several things I liked about this book. Princess Puffybottom’s family was made up of two mothers. This was just the way it was, not fanfare, no explanations, just a family. I loved the adorable pets. They were cute, funny and it was obvious how much Darryl wanted to be accepted and make friends. The illustrations were wonderful, so adorable that even poop was cute, and my grandchildren pointed out the pile of poop with glee. I did not notice while reading that one of the mothers was pregnant, until the end when a new baby appears, and I looked back at the illustrations. 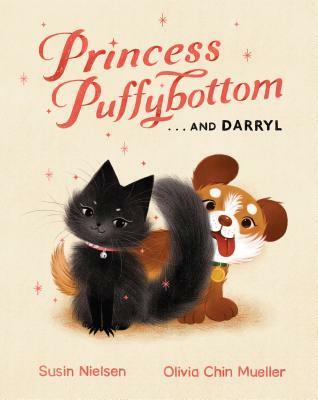 My grandchildren laughed at the antics of Princess Puffybottom and Darryl. Everytime I said Darryl, my granddaughter would shout, that’s not daddy! We had fun with this story and I definitely recommend it to families, schools and public libraries. The publisher, Tundra Books, generously provided me with a copy of this book upon request. The rating, ideas and opinions shared are my own. This book brought back many memories, but I was the older sibling. I had a brother who was seven years younger than me and I often had to look after him as well as have him bug me constantly, at least that is how I felt as a youngster. In What are you Doing, Benny? Benny is the older brother, who is pestered by his younger sibling. The younger sibling tries desperately all day long to get Benny to join in his play or allow him to do what Benny is doing, but is consistently told No! When the younger brother finally finds something to do (put on a puppet show) and Benny gets interested, the tables are turned. The message in the story of course is about getting along with your siblings, finding something to entertain yourself, allowing others to participate in your activities. Any child who has a sibling will be able to relate to this story. I liked the way the story was put together, it was almost a graphic novel which I think children will enjoy. The watercolour illustrations by Kady MacDonald Denton are sweet and detailed. Each illustrations is so detailed, including cross sections of the foxes den and their rooms that there is a lot to look at and talk about. 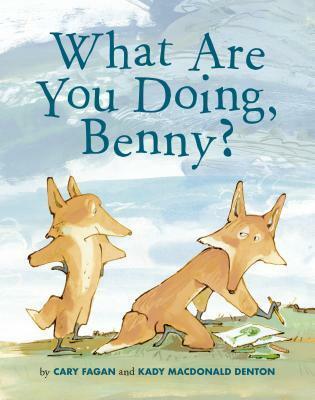 Overall a very cute story, with the repetition needed for a beginning reader. The publisher, Tundra Books, generously provided me with a copy of this book upon request. The rating, ideas and opinions shared are my own. If the kids hadn’t liked it, I would not have recommended it either. It was a tough call. These are adorable Carla! I just finished one that I need to review and thought of you with your mini-reviews. I’m such a sucker for great illustrations! I also love the illustrations and so do the kids. Sometimes the story isn’t that great but we spend lots of time talking about the illustrations. I love picture books! They are the gateway to the world of reading for children. It is so fun to share them with children. I love the Bea’s Bees! About a month ago I was teaching my grandkids about bees. I even bought a honey comb and they learned about how vital bees are. Great book review thank you! What a great lesson to share with your grandkids. The book about bees sounds wonderful! And Princess Puffybottom as well. I love that it’s a dual-mom household and a big deal isn’t made of it. I am also the oldest, and my youngest brother is also 7 years younger than me. My mother was a retail manager and single mother so I was his primary caretaker the majority of the time, starting at the age of 10. Oddly, I don’t ever remember finding him to be a pest, but even as an adult, he’s a very sweet, unassuming person. I’m sure he must have irritated me at some point, but I honestly don’t remember it. 🙂 But I digress, it’s a lovely lesson. Great reviews, especially Princess Puffybottom, your grandchildren sound like they had particularly great fun with this one! Thanks Elaine, they sure did. You have showcased some lovely books here, Carla.